Our full annual report to the Charity Commission is available here. It was a busy year for us. Our co-founder Ugo Vallauri was selected from a worldwide competition to be a Shuttleworth Fellow, enabling us to recruit new team members. We’ve also watched our volunteer base grow ever bigger – both in the UK and elsewhere. In order for change to happen, people need to want to see it happen. News of environmental and social issues today is so incessant that things can easily get lost in the flood of information. In 2016, we engaged more and more people in repair while raising awareness of the problems it can help us confront. Increasing our media presence: we continued to tackle a variety of issues pertaining to repair, technology and society in our weekly radio show and monthly podcast, featuring stories that ground politics and activism in our day-to-day lives. We were featured on BBC1’s ‘Hugh’s War on Waste’, and continued to expand our social media following and subscribers to our mailing list. Reaching new audiences through paid events: our partnerships with public sector funders helped us reach more people through talks, demonstrations, and hands-on workshops. We ran a weekend of repair events as part of Somerset House’s Utopia Season, spoke at the London Design Biennale, and were commissioned to run events for Queen’s College, Cambridge, and the Victoria and Albert Museum. Repair draws in many different people from a variety of sectors. As well as developing projects in each of these areas individually, we worked towards forging links between them. Community repair: We continued to run our free community events throughout London and beyond. We now Over 100 Restart parties were independently held around the world, in Canada, Israel, Italy, Norway, Spain, UK, and the US. In London alone, in 2016, volunteers put in 985 hours collectively at our 15 community Restart Parties, and – with the help of 443 participants – diverted 1452 kg of waste diverted from landfill. We also held training events for people wanting to start up their own community repair events, and provided support to four independent groups replicating our work in London and Leicester. Education programme: we continued to develop our education programme in 2016, creating materials to support secondary schools in incorporating repair. We forged a partnership with Archer Academy for 2017. Reviving London’s repair economy: We developed a set of criteria for our mapping project in London, which enabled us to build a list of trustworthy London-based repair businesses. 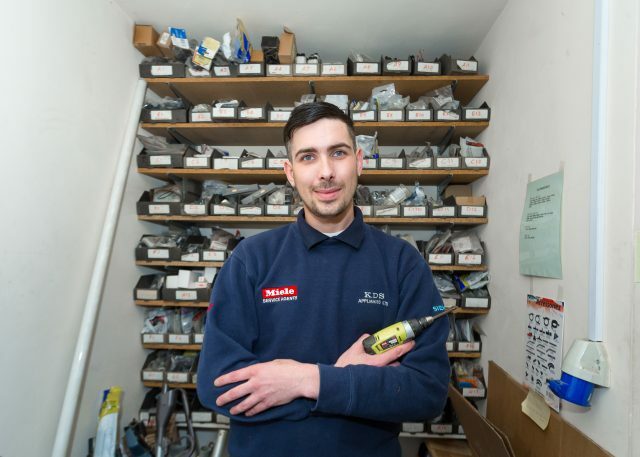 This was designed to support small and medium-sized repair businesses, as well as helping increase access to reliable repair within London communities. 2016 brought a number of challenges with it: The Brexit result made it more important than ever to re-evaluate our policies in the UK concerning resource-efficiency in the electronics sector. 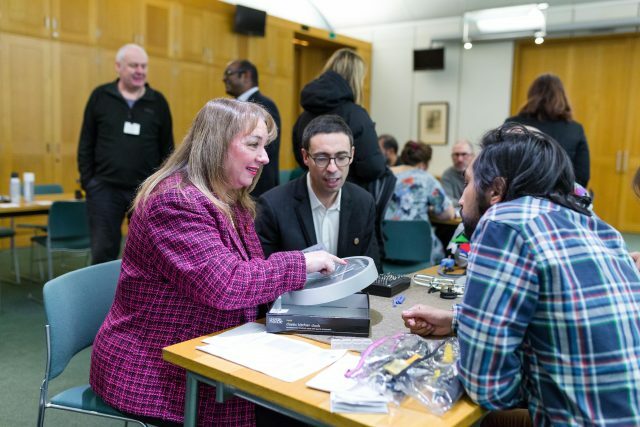 Engaging policy-makers in discussion: we ran our first Restart party for Parliamentarians in Portcullis House and succeed in getting MPs fixing their gadgets and sharing our message. Collecting data to support advocacy: using our Fixometer, we collected more and more data on repair from Restart Parties. We are working towards compiling evidence about recurrent faults that can be used to push for better, longer-lasting and more repairable products. Last November we said goodbye to our friends at Makerversity in Somerset House and moved into our new home at 3Space in Bermondsey. We’re pleased to say our avocado plant survived the move and has grown a good six inches in the past year. Our core team and our board of trustees have also grown. We’ve welcomed Tim Gonzaga, Mike Tuffrey, Emily Shipp and Karien Bezuidenhout to the board, and three new people joined our team: community lead Jon Stricklin-Coutinho, data lead Neil Mather, and communications assistant/researcher Lauren Collee. “ Inspiring…as always. ” – Kathie C.
“It looks to be thriving, long may it continue to grow.” – Rosemary B. “I’m glad I have joined and look forward to more parties” – Steve L.
Our trading income has continued to grow, with just under £30,000 coming from contact with the East London Waste Authority, and £38,000 from community and cultural repair events. We were pleased to receive the second installment of our support from the Esme Fairbairn Foundation, as well as the start of our funding from the Shuttleworth foundation. Our staff costs increased in 2016 as we expanded the core team to 2.5 full time equivalents, as well as bringing in more freelancers to help with design, web development and fundraising, resulting in staff costs of £62,991 for the year. Our operational expenses, which included the cost of providing contracts and £5000 paid work for our community of fixers, have increased from last year; however we were able secure free office space from November. Overall, we’ve ended with a large increase on last year’s cash reserves and have £63,998 held in our bank account. Come to a Restart Party, and learn to fix something or share your fixing skills. No group in your area? Start one. Setting up your own Restart Party is easier than you think.